CERAM (Clinic for Assisted Reproduction in Marbella) was founded in 1993 with basic diagnostic programs on fertility, ovaic stimulation treatments and artificial insemination (partner or donor). In this period we achieved fertilization rates comparable with the national average. In 2000 the clinic expanded its services and programs, incorporating In Vitro Fertilization (IVF), intracytoplasmic sperm injection (ICSI), egg donation and related techniques. Our good results in assisted reproduction are proven by a large number of births, achieved through the techniques and treatments that CERAM offers to couples visiting us. Along with them we have a marvelous team of nursery and administration to make possible that treatments have a good ending. They are all qualified professionals, they speak different languages and they work hard every day so that patients feel as good as possible. In the following section you can read with further detail the experience of our staff in every area. Dr. Hugo Benito Martínez is the founder and medical director of CERAM. I have been a specialist in Gynecology and reproductive medicine since 1983. I started by working with the largest and most important fertility centre in Colombia and I founded the Institute of Human Reproduction in Colombia. Since 1993 I have been the founder and medical director at CERAM. I frequently attend national and international congresses related to this specialist field, to learn about new advances and techniques which we then use on a daily basis at CERAM. I am member of the American fertility, Spanish Gynecology and Obstetrics Society (SEGO), Spanish Fertility Society (SEF), Spanish Andrology Society, Spanish Association of Reproduction Biologists (ASEBIR) and ESHRE. The International Programs coordination department, is totally devoted to our patients living abroad. If you live abroad and are undergoing an IVF treatment in Spain, our International Patients Department will act as a link with the medical team at CERAM so that you only need to visit our clinic in Marbella only once or twice. We will be in contact constantly and have a close relationship by email, skype or telephone. This allows us to be informed about your progress and answer any doubts that you have. To minimize the stress due to the travel organization, we can provide you with information of your interest, as concerted hotel booking, transport, touristic information, and all you may need in order to offer you a comprehensive follow up of your treatment. We speak several languages to offer an easy and smooth communication. We speak English, Spanish, Italian, French, and Russian. You can contact us by email international@ceram.es or call us + 34 952 899 350. We will be delighted to help you. Sergio Perez Maicas has a bachelor degree in biology in the University of Valencia. With a vast professional experience in all of the techniques for assisted reproduction, he has been formed in the Hospital La Fe in Valencia. He is continually expanding his knowledge by attending conferences and courses related to human reproduction and its techniques. Marina Pascual Herranz has a Bachelor degree in Biology by the University of Salamanca and a Masters of Human Assisted Reproduction in UCM-SEF. Constantly expanding knowledge she assists to several courses. 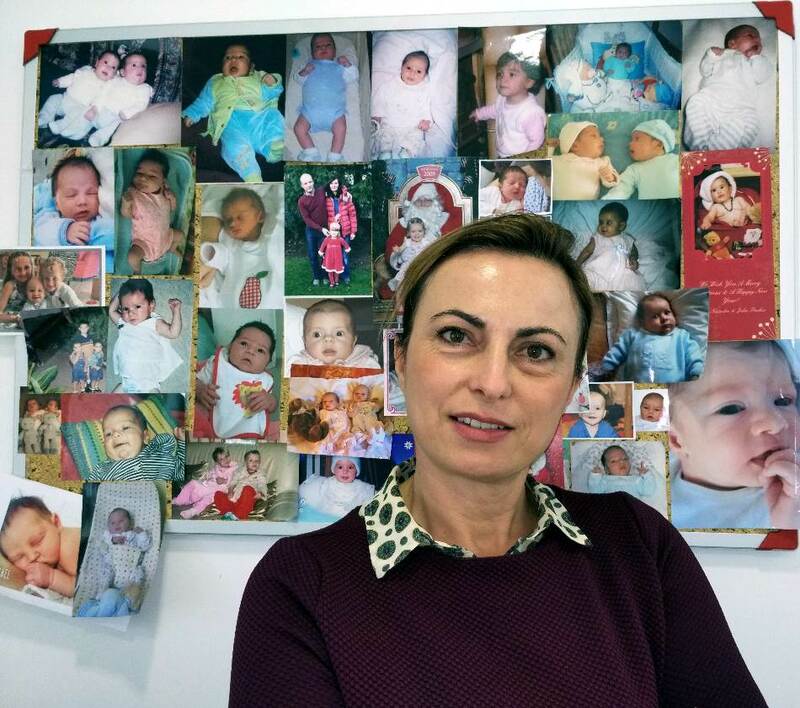 She is a member of the SEF specialisation groups of “Embryo health” and “Andrology”. 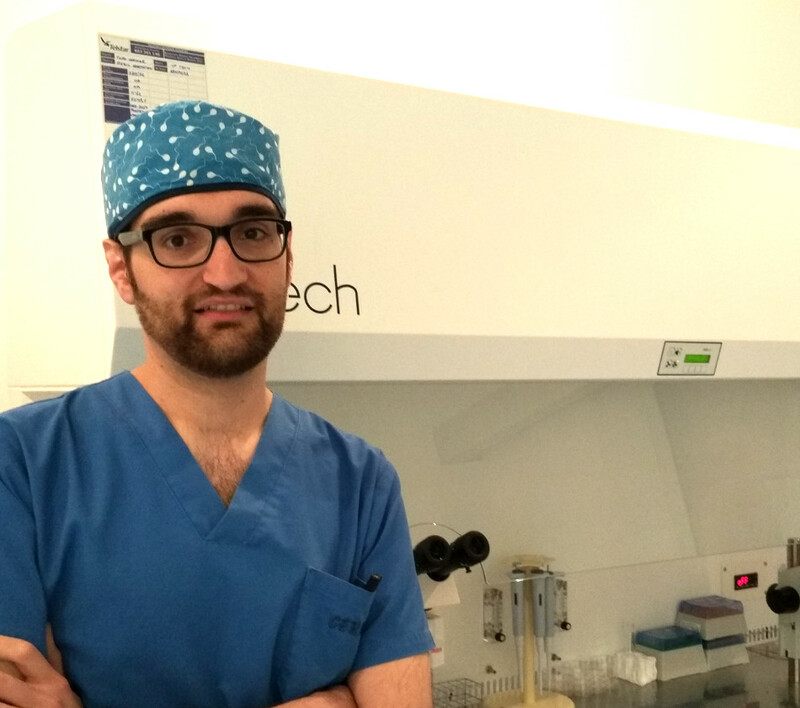 Jose Muñoz has a Bachelor degree in Biology by the University of Malaga and qualified as “Senior Embryologist” of the ESHRE since 2009. He has extensive experience and is continuously learning new techniques and researching in the area of Assisted Reproduction. He is our Laboratory staff Coordinator, quality control and responsible for the training of our team. Our embryologists are members of the Association for the Biology and reproduction studies (ASEBIR), and the European Society of Human Reproduction and Embryology (ESHRE). Martha Isabel Rojas, expert in assisted reproduction and responsible of the administrative area at CERAM. Martha Isabel Rojas has a Bacherlo degree and has a master in administrative management. Martha also takes care of giving couples the information about all possible treatments, all the steps that have to be followed and also the costs of the treatments. She has a broad knowledge of all aspects related to assisted reproduction techniques, including the emotional part, which is very important when considering a fertility treatment. Martha is always taking care of the patients, making sure that the procedure is easy to understand and giving them all the emotional support when needed! Our staff at reception speak Spanish, English, Italian, Russian and French. They will be here to give you information and guide you whenever you need it. They will try to solve all your doubts and make sure that you can get in contact with the staff that work at CERAM.